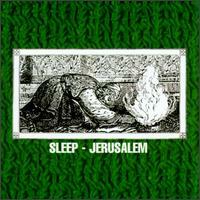 Disambiguation: There are two acts going by the name Sleep, one being a stoner rock/doom metal band from California, and the other an American hip-hop emcee from the Oldiminion crew. 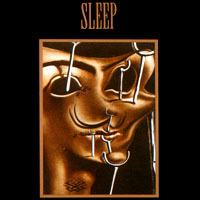 The success of Sleep's Holy Mountain landed Sleep a contract with a larger record company (London), who payed up front for Sleep's next record. 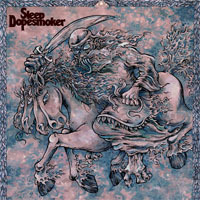 As the story goes, Sleep went out and spent all the money on Green amplifiers and marijuana (although this is denied by the band), then went on to record what is easily one of both stoner rock and doom metal's defining moments; the 1 hour long Dopesmoker. London refused to publish the record, and Sleep privately released a somewhat shortened version of the song (as a bootleg) in 1998 as Jerusalem before splitting up. Jerusalem was properly released in 1999, however it took until 2003 for Dopesmoker to be released in all its glory on Teepee Records. 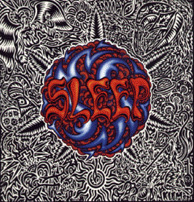 Sleep's guitarist, Matt Pike, went on to form High on Fire, while bass player and vocalist Al Cisneros and drummer Chris Haikus continue in the more doomy parts of the stoner rock genre as OM. Sleep is one half (with Josh Martinez) of The Chicharones. Sleep's debut solo album Riot By Candlelight was well recieved and enabled him to work with the likes of Masta Ace in his acclaimed follow up Christopher.